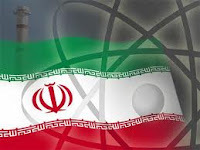 Iran faces the prospect of cutbacks in its oil sales to China and Japan as new measures to block Tehran's crude exports over its nuclear program appears to be driving its economy to the wall. China, Iran's biggest trade partner, has already cut its purchases of Iranian oil by more than half this month and would extend the cuts to February, a Beijing-based trader who deals with Iranian oil said. Japan is also said to be considering cutbacks in its Iranian oil purchases to secure a waiver from new U.S. sanctions signed into law on New Year's Eve by President Barack Obama, a government source said.